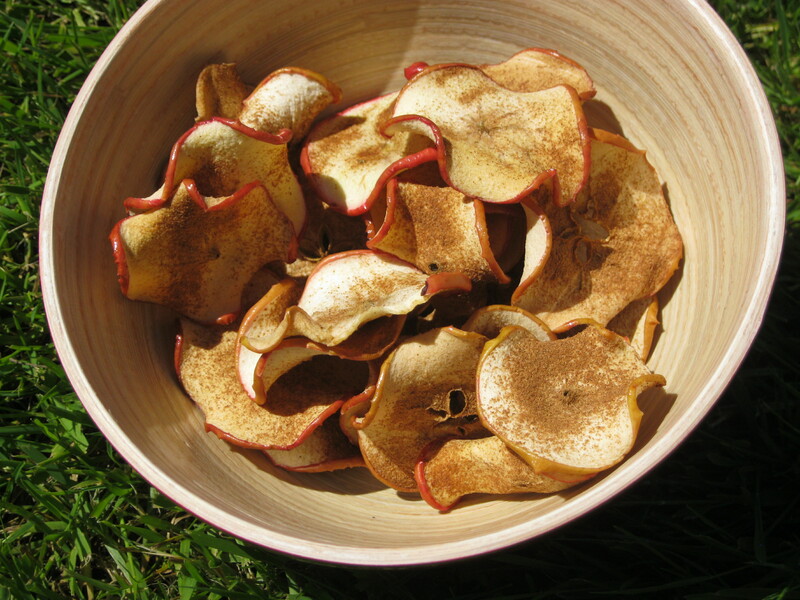 Now, it may be June but while these apple crisps are cooking, your house will smell of Christmas! 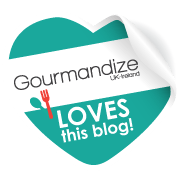 These crisps do take a while to cook so it may be best doing a big batch on a rainy day then you will have healthy snacks at the ready when you’re heading out and about. Pre-heat oven to 100C/215F. Place a wire rack over a baking sheet. Either using a mandolin or a sharp knife, slice the apples through the core very thinly. You don’t want the slices paper-thin but not too thick either. My mandolin has 3 thickness settings, number 3 being the thickest and this is the one I use. Place the apple slices in a bowl and pour over the lemon juice. Toss gently with your hands so each apple slice is coated. Lay the apple slices on the wire rack in a single layer. 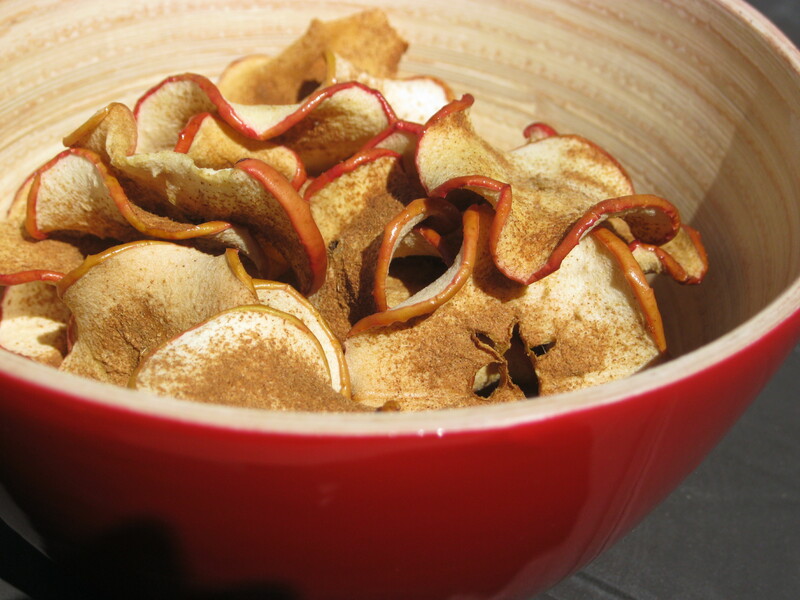 Sprinkle half the cinnamon powder over the apple slices, then flip them over and sprinkle over the remaining cinnamon powder. I use a tea strainer for this as it helps give a light dusting. Place the apple slices in the oven and bake for 1 hour. After 1 hour, flip the slices over and bake for a further hour. Once the apple slices are cooked remove from the oven and allow to cool. These keep well in an airtight container for a few days.